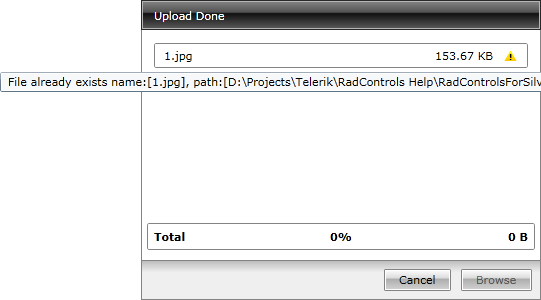 When there are files with the same name as the uploaded ones, the RadUpload can overwrite the existing files. By default the overwriting of files is disabled, but you can enable it by setting the OverwriteExistingFiles property to True. When the overwriting is disabled and there are files with matching names, an error message is displayed.